Shame on me for not using corn on the cob nearly enough the last few years. First off it is one of those vegetables that is fun to eat. My kids love grabbing a big cob and going to town for 5 minutes, it’s one of the few vegetables they’ll eat in its entirety and ask for seconds. Corn on the cob is also amazing when cooked on the grill, I’ve recently been playing with a lot of different mesquite flavors and am corn is taking in the flavors quite nicely. For these fall and winter months many of us don’t want to fight the cold weather to grill our food and luckily corn on the cob also tastes great baked or boiled. Boiling is the easiest way, and how I cooked the corn in this particular recipe. Boiling is a very quick option, too. The other star of this simple salad is the zucchini. I use a vegetable spiralizer to get an amazing texture. For those of you who have a family member that doesn’t like eating vegetables, the spiralizer will be your best friend. It changes the form of zucchini, squash and other veggies to thin strands that seem to take on a lighter taste. With some light olive oil sauce and tomatoes it feels much like easting pasta, and will likely please even those picky eaters. My favorite spiralizer is one that I picked up from Williams Sonoma and has 4 different blades, giving a nice variety of shapes. It’s easy to clean and I haven’t had any nicks or cuts using it, two of the big plusses for any kitchen tool with a blade. For this salad I was in a rush and misplaced the blade I was looking for, so I just used my backup Zucchini Spaghetti Pasta Maker which works pretty well, too. Lemon juice is a great addition to the salad as well, keeping with the light and healthy (yet flavorful) theme. My husband actually finished his salad and then scooped up the little bit of dressing that was remaining. I would normally find that odd but it is really a refreshing combination without any bad elements. Your salad looks so good. I love zoodles! My kids aren’t crazy about them, but I use them in place of pasta and with some sauce my kids will eat them. That looks really good! I have never tried zucchini like that before. That looks absolutely delicious! I’ve never seen a salad quite like this before. I love the corn. I love zucchini! They absorb flavor so easily and they go well with a lot of ingredients. I’d like to give this salad recipe a try, it looks really good. I really want to try that! I need to get one of those spiral things! This looks great and health too! That salad looks so good! I’ve never tried zucchini this way but I really want to! I really need to start using a spiralizer. This looks really good. I could make this as a personal meal! I love zucchini. This looks so yummy. This looks very beautiful and tasty! Great recipe. I’ve been DYING to try to make some zoodles; I love zucchini! Thanks for the inspiration! This sounds really good. I love easy, healthy meals like this! Yum! That looks amazing. I will have to try this recipe! Thanks! 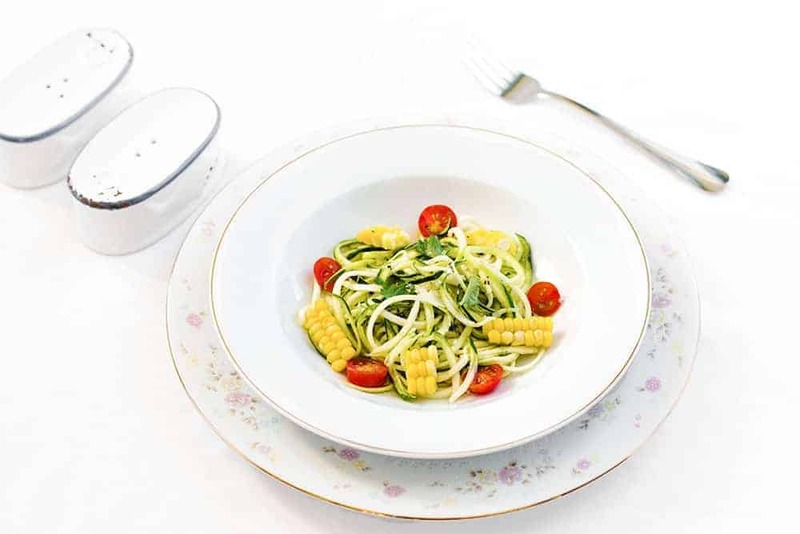 There are so many yummy dishes you can make with a spiralizer. I really need to get one myself. Pinning this recipe for use later. Thanks! I am dying for a spiralizer. I would love to try this it looks really delicious! 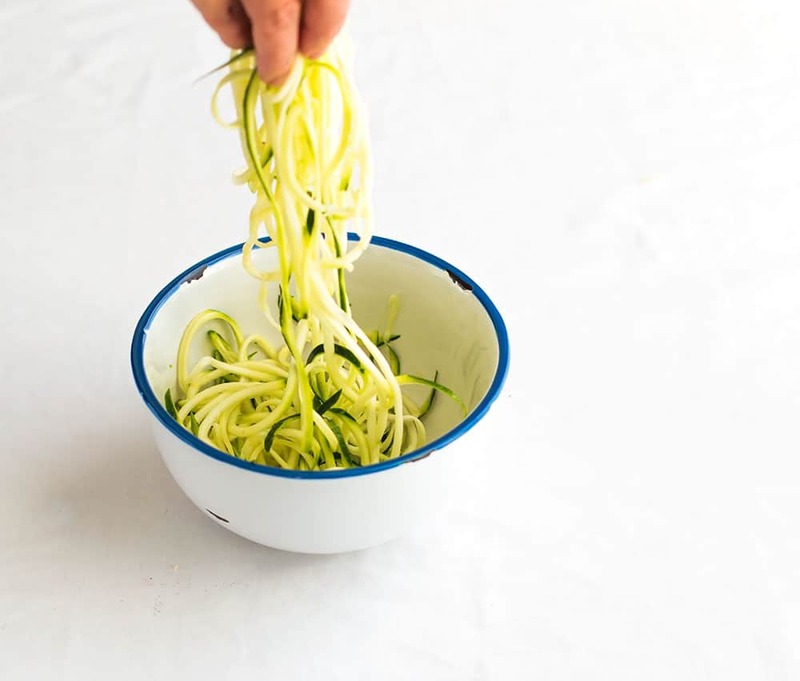 Spiralizers seriously make preparing noodles with veggies to easy and delicious. This recipe is a must try for me and the picture is beautiful also! I want to try zoodles so bad!! I need to invest in a spiralizer asap!! How inspiring! 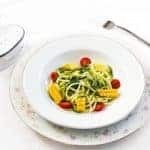 Thank you – I hadn’t heard of a vegetable spiralizer – I’ll be looking at your links for suggestions and your salad looks beautiful – the little corn pieces are beautiful! I love eating salad, I want to add it o my diet. It looks taste good and healthy. That is a delicious looking salad. I have been wanting to try zoodles forever. I may have to go buy the zucchini spaghetti maker. The salad looks so pretty. I just got my spiralizer yesterday and I’m excited to try it. I really want one of those vegetable spiralers. I already eat a lot of vegetables, but with this, I would eat way more. I’ve been seeing more and more recipes with zucchini. I’ve just got to grow some next year as I garden with organic veggies. When I do, I’m going to try your recipe, it looks amazingly delicious. Yum oh yum to the salad. That does look amazing. 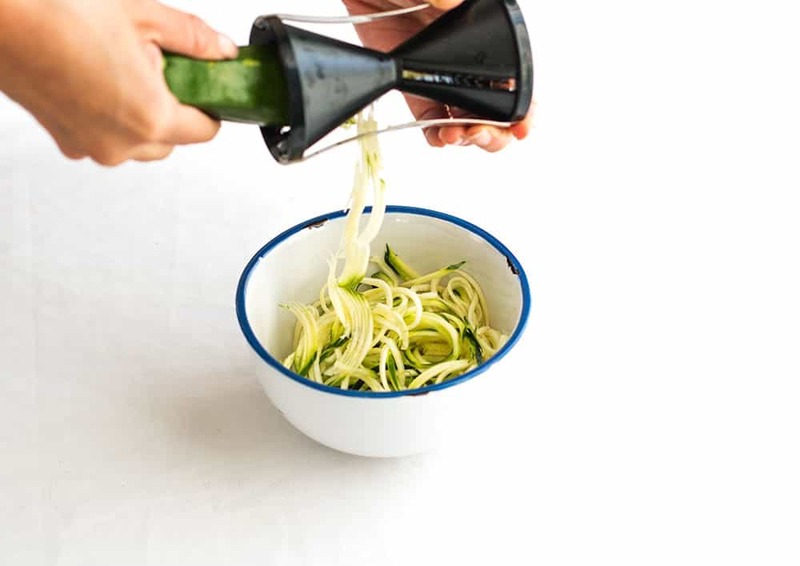 I have yet to try spiralized zucchini, and I have two gadgets that allow me to make it. I would like to use it for salads, fake pasta and stir fry. This looks so healthy and yummy. I love your photos, they came out great. Thanks for sharing. I love spiralizing zucchini. I wouldn’t have believed it until I tried it, but it really does taste like pasta. This recipe looks great! This looks so yummy and easy to make! Going to give it a try this week I hope. Omg this looks beyond delicious!!! Definitely pinning so I can give it a try! Yum! That looks delicious! 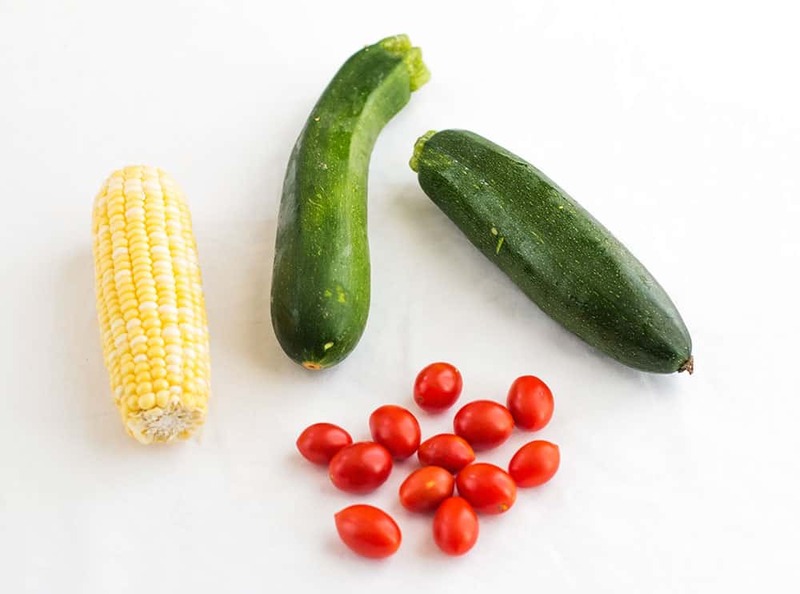 I love corn and zucchini, so I will definitely have to try this sometime soon. We love corn on the cob too. My kids could eat it at every meal. I have never eaten Zucchini but you have almost converted me…LOL….still not sure if I will try it but I am closer to trying it than before. Yumm… This looks delicious..!! Thanks for sharing recipe as I’m going to try it in my kitchen too!! I need to get me a pasta maker so I can make something like that too. I love zucchini and I love corn. Nom! This looks really yummy. 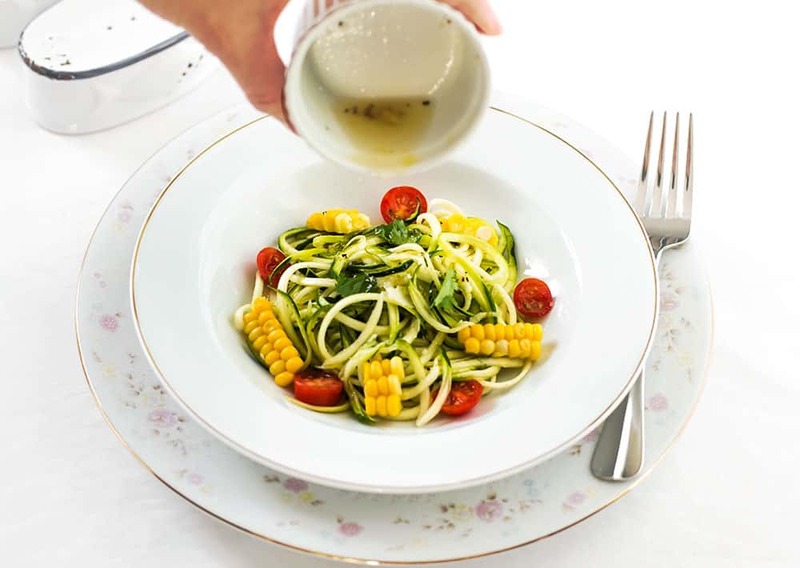 I love zucchini noodles, they are so good! Your pictures are so bright and pretty! That looks so good! I have a spiralizer at home, I really need to use it more. This sounds very tasty. I love lemon and I bet it marries well with the zucchini. This is so colorful and looks amazing. I want to make this like yesterday. I love corn and cherry tomatoes. Thanks for sharing your creativity with us. I’ll be bookmarking this! I like zucchini but never try this thing yet. Love this yummy and very healthy recipe! Spaghetti noodles using zucchini is awesome! Thanks for sharing! Yummy, yummy!! This looks great! Thanks so much for sharing! This looks so yum! and fancy! LOL I love trying different types of salad! yum!